Francis Marion University will award honorary degrees to a former Chief Justice of the South Carolina Supreme Court and a Pee Dee pediatrician and entrepreneur during fall commencement ceremonies on Saturday, Dec. 15 in the Smith University Center gymnasium on the FMU campus. Approximately 300 graduate and undergraduate degrees will be conferred at the event, which begins at 10 a.m. 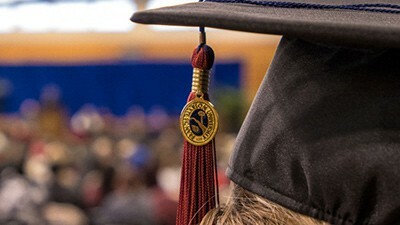 Graduates will include the first grads in FMU’s Doctor of Nursing Practice (DNP) program and the first graduating class in the FMU Physicians Assistant (PA) program. Honorary degrees will be awarded to Costa M. Pleicones, a Columbia-based lawyer and the former Chief Justice of the South Carolina Supreme Court; and Dr. John Keith, III, a Pee Dee region pediatrician. Pleicones will deliver the commencement address. Pleicones is special counsel with Haynsworth Sinkler Boyd law firm in Columbia. Pleicones assumed the position of Chief Justice of the South Carolina Supreme Court in 2015 and served until 2016. Prior to beginning his career in the private sector, Pleicones had a 30-year active duty and reserve military career in the United States Army. He is a native of Columbia. Dr. John Keith, III is a practicing pediatrician with nearly 20 years of experience serving the Pee Dee region. From 2010 to 2014, Keith served as the Chief of Pediatrics at Carolinas Hospital System. Keith, a Florence native, was also a pioneering investor in the recent revitalization of downtown Florence and has played key role in that effort.